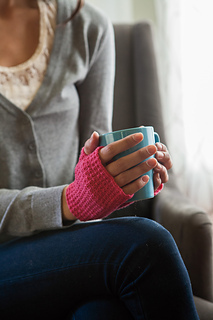 The mitts feature an easy but beautiful knit and purl pattern, a great pattern to tackle as a first mittens project. 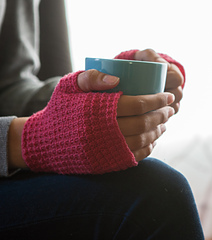 The two stitches and four rows pattern forms a structure that resembles a brick wall. 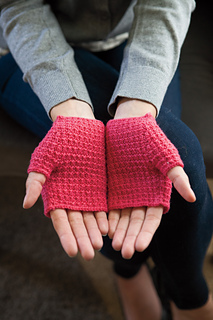 The mitts are worked in the round with a thumb gusset. 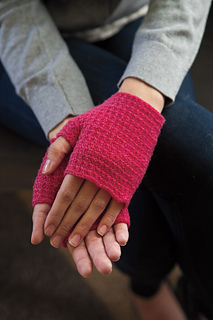 The pattern is worked all over including cuff, edging and thumb gusset.